Write Ray! : 'Ya Hoo!' for the 2015 Calgary Stampede! "Ya Hoo!" is the call (actually the paddle signs) of Harry the Horse! 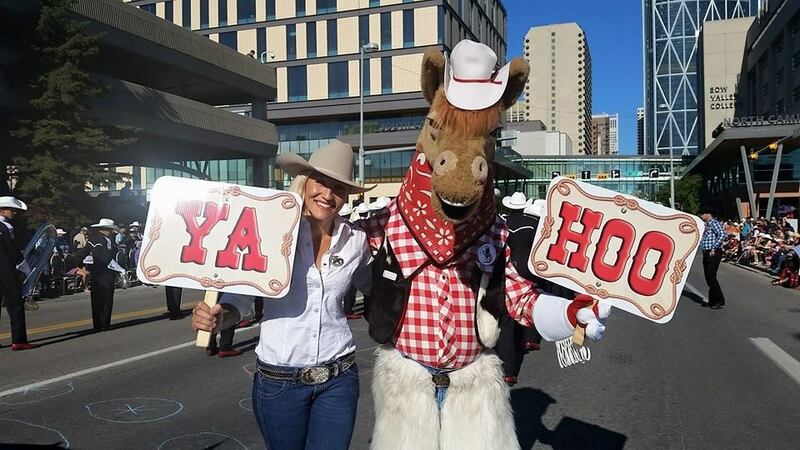 Calgary is famous for its Stampede, and the 2015 edition of that event started on Friday and is now in full swing! I watched the Stampede Parade on TV. I got a chuckle over the CBC narrators who were brought in from Eastern Canada to describe the parade. I hope they get to spend more time here, to get a real feeling of who Western Canadians are. I'm less involved with the Stampede this year. I usually volunteer down at Stampede Park almost every day of the ten day festival. 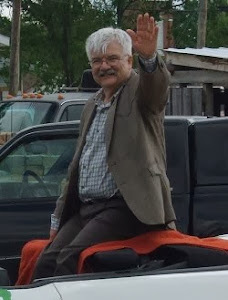 This year, projects here at home in Beiseker are limiting my time in the city. I plan to volunteer a couple of days this coming week but that's about it! This is the second year of the agricultural exhibitors using the new Agrium Western Events Centre at Stampede Park. I hope you get a chance to check it out. I'm anxious to see it in operation this year too because Aggie Days is moving in there for its 2016 show! I'm excited about the move. I enjoy the Stampede Rodeo and the "Chucks," and I hope to take in at least one running of those events. Otherwise I will be watching the excellent coverage on CBC. Overall, it's shaping up to be a great Stampede. I hope you get a chance to take part in the annual festival!